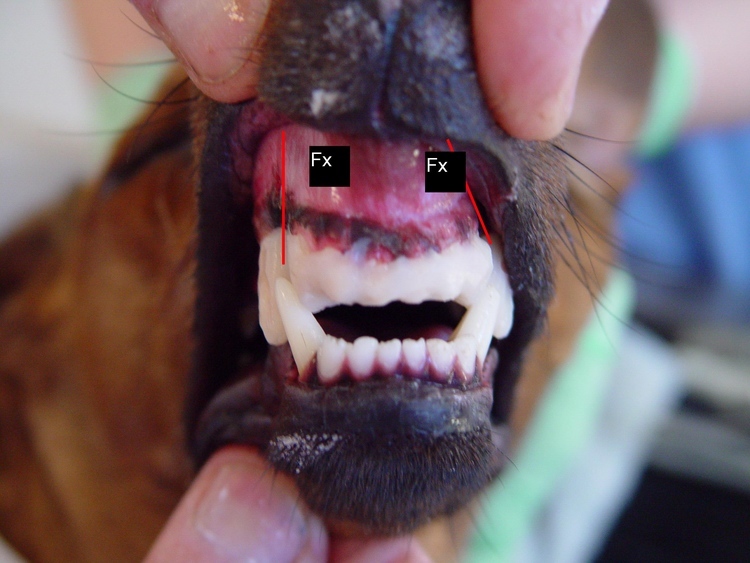 Maxillo-facial injuries (face fx) in dogs are quite common. Most often they occur after a traumatic incident such as a car accident. If the problems are identified quickly, corrective measures can return the patient to normal function. 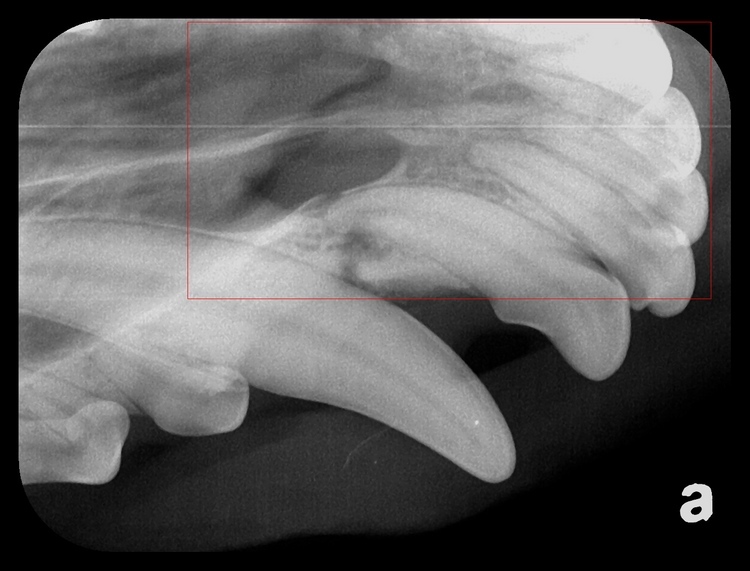 "Max" the Dachshund was referred to us with a diagnosis of a severe underbite. 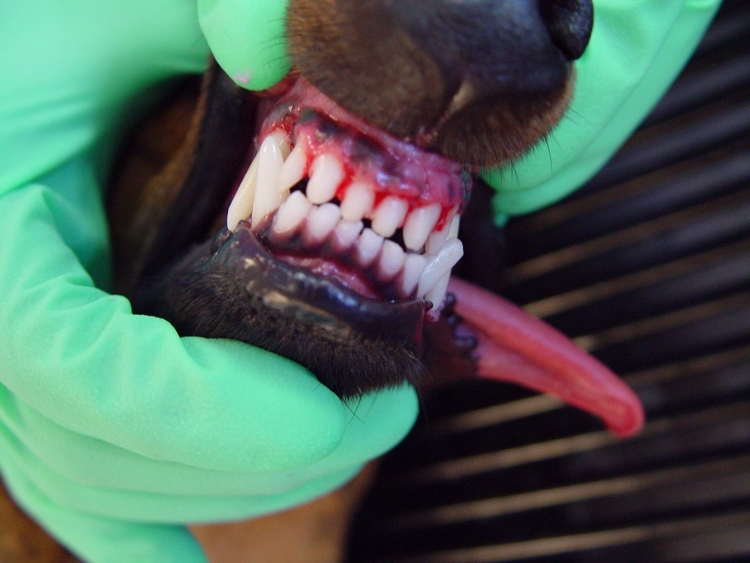 However, initial oral exam suggested that "Max" had experienced some type of facial trauma (Hit By Car). 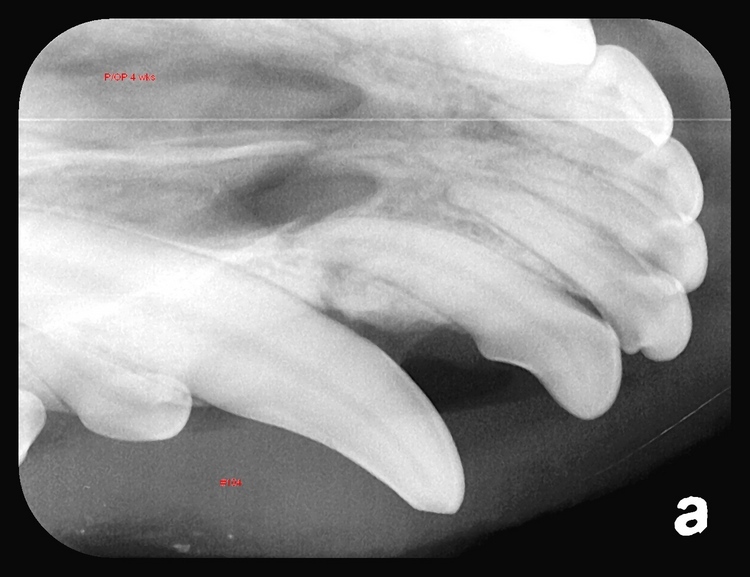 There was significant instability and palatal deviation of the upper incisal arch, leading to discomfort and an obvious mal-occlusion. After "Max's" assessment (physical exam, lab, etc.) 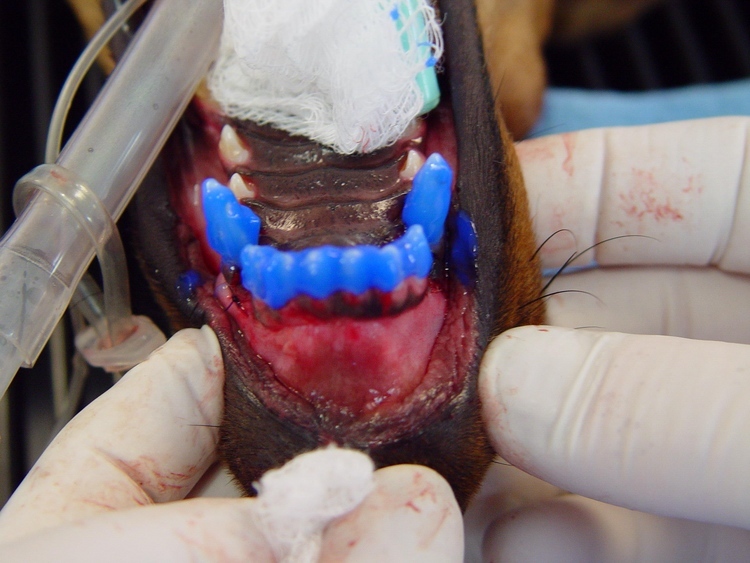 a proper oral exam and dental radiographs were completed under general anesthesia. The entire arch was unstable and displaced palatally. 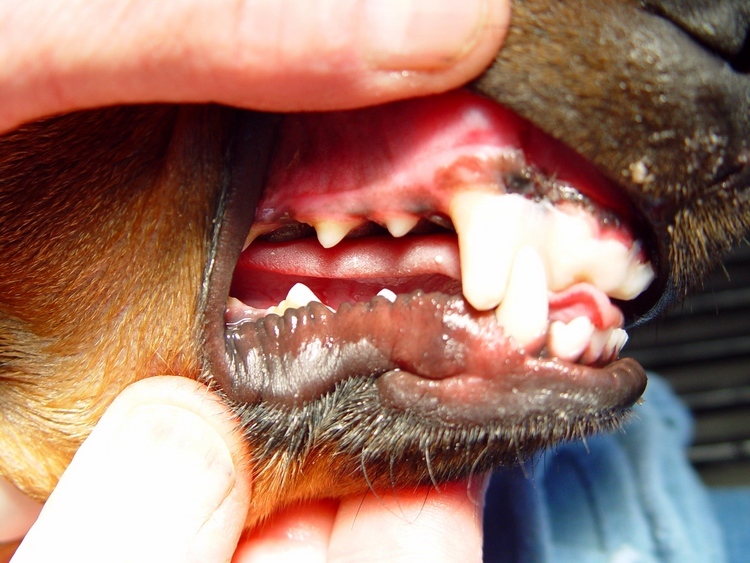 A bilateral fracture of the premaxillary bones at the level of each lateral incisor was the cause of the abnormal bite and mobility. 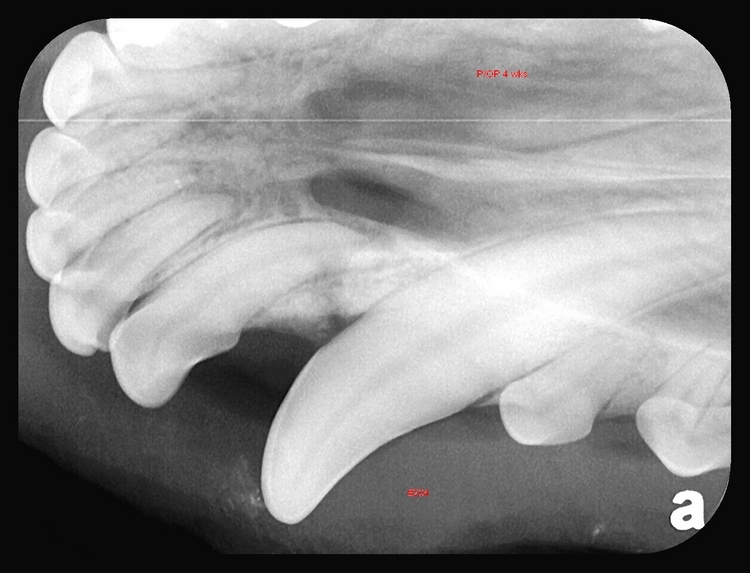 This type of fracture was repaired with reduction of the premaxillary bone including all incisors. After normal occlusion was attained, an acrylic splint was applied to maintain normal occlusion while the fracture site healed. 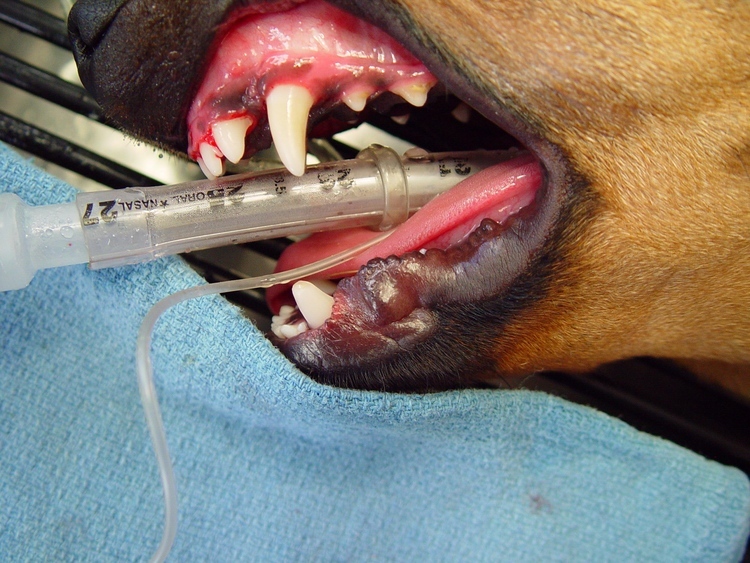 Amazingly, dogs seem to have no problems adapting to this form of repair. 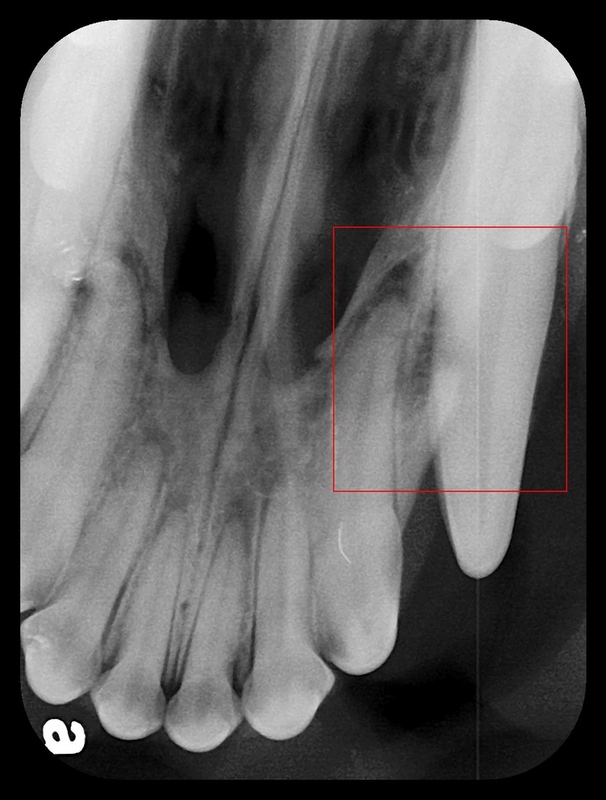 At four weeks post-op, dental images indicated complete healing and the acrylic splint was removed. 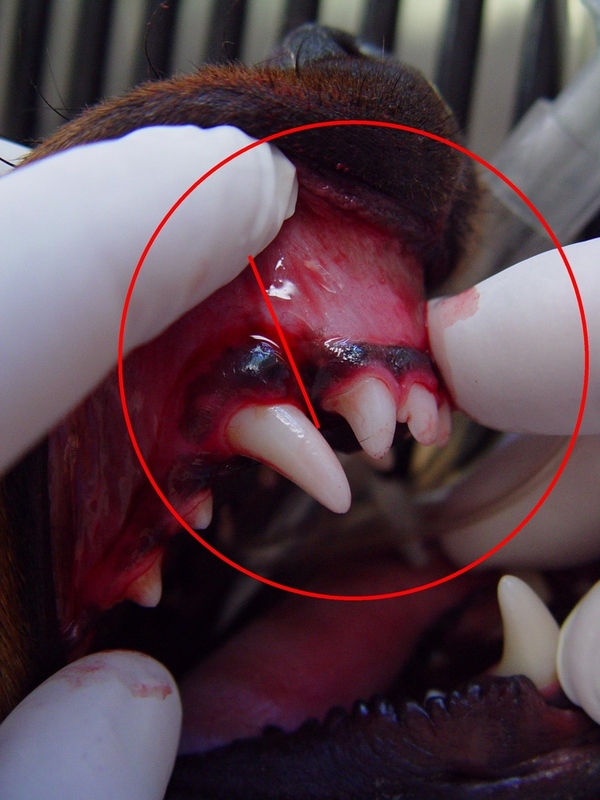 The incisal arch was stable with normal occlusion.